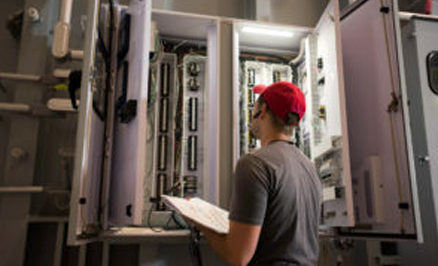 Our value proposition is to provide the most reliable transformer that’s shipped and installed in a timely and flawless manner to the site and monitored and serviced to last for more than 60 years. 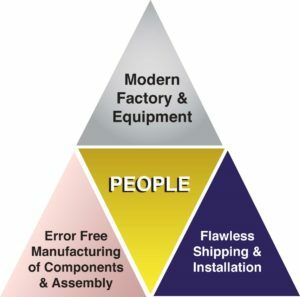 As mentioned before, the core of flawless execution pyramid is people – Trained and Certified Technicians. 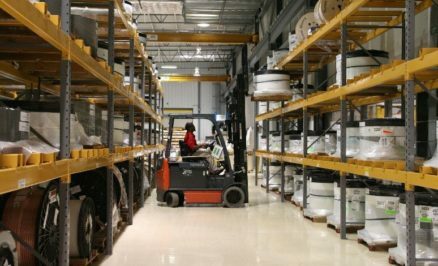 Professional overseeing and receiving tools and materials in a timely manner allows for our Trained and Certified Technicians to perform at their best. 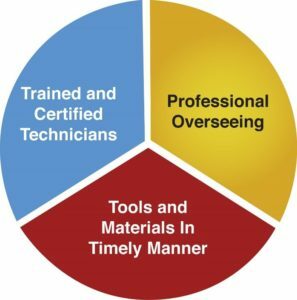 Trained Technicians are essential and their training must be continuous & up to date. But even more important, is the guidance…what we call “overseeing”. Experienced supervisors are continuously analyzing the finished work and the tasks in process from all angles to make sure that everything makes sense and everything fits together. Without tools and materials nothing is going to move forward, a team within VTC-GTC is dedicated to ensure that process don’t stop because of tools and materials not showing up on time. 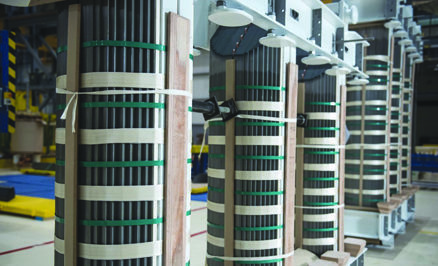 In construction of power transformers, depending on the voltage class the goal is to suppress the water content of cellulosic-based materials to <0.5 % and even as low as 0.1 % (by weight) prior to shipment. 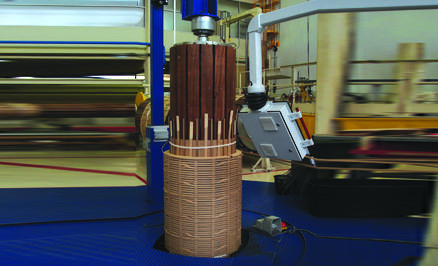 Cellulosic kraft materials such as high density pressboard, papers, tapes, crepe tubes and spacers are used in the paper/oil insulation system of the transformer. 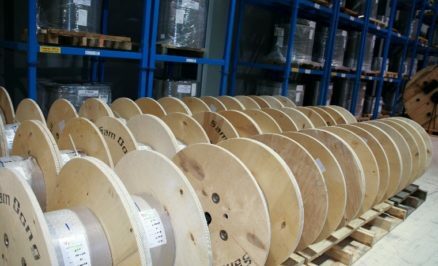 These are used to support windings and leads as well as to maintain dielectric clearances, they usually contain 8 – 10% of moisture by weight at ambient temperature. It is dangerous to the health of the transformer because it reduces the electric strength, resistivity and accelerates deterioration of solid insulation. Therefore, it is required to remove moisture from insulation to maintain its insulating properties. Conventional drying has not remained efficient and effective in terms of energy savings, cost of operation and achieving process parameter. 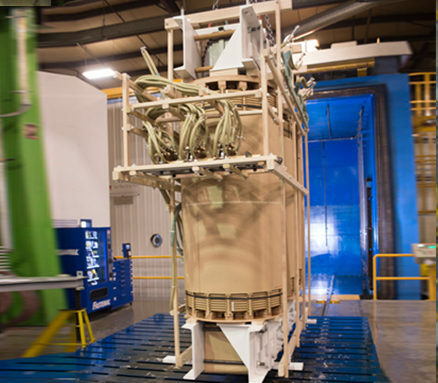 Complete dry out of the core and coil assembly begins by placing the entire assembly inside the vapor phase drying chamber. Vapor Phase Drying (VPD) applies vacuum but the method of heating is not through air, the heat is vapor of a low viscosity solvent like kerosene with a higher flash point. 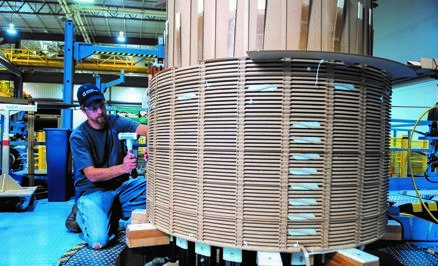 Vapor is heated in an evaporator by use of electric heaters and are passed over the core and coil assembly placed inside for drying. 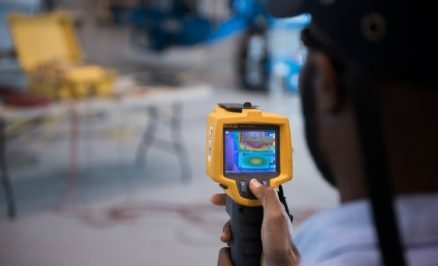 The solvent vapor condenses when encountering the lower temperature job. The condensed kerosene is collected and subjected to many rounds of heating and evaporation. The temperature rises and the evaporated water is pumped off through drying. Vacuum maintained during the process is very low (as low as < 0.5 Torr). Dew point reading dictates end of cycle and thus unit is ready for oil spray process. The unit is now sprayed with transformer oil within the chamber to cover the pores of cellulosic material (insulation) to inhibit moisture absorption. At this point the unit is taken out from the vapor phase vacuum chamber and proceeds to a process called servicing. The unit is then retightened to compensate for any shrinkage. 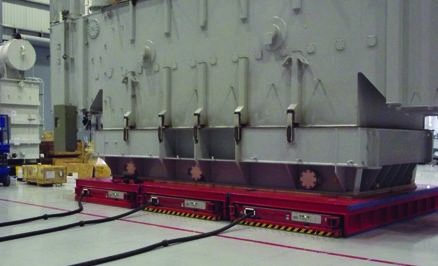 With minimum exposure time, the unit is tanked immediately and covered, the vacuum is applied prior to oil filling for final impregnation, after appropriate “under vacuum” time, testing of the transformer begins in accordance to customer specification and standards. 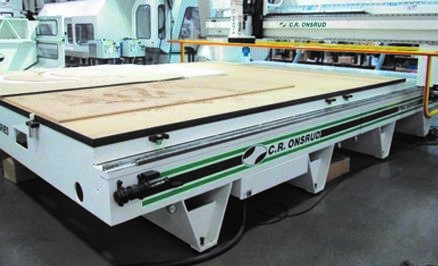 In summary, the use of vacuum allows for drying of the components without the need of high heat that would be detrimental to the insulation material. 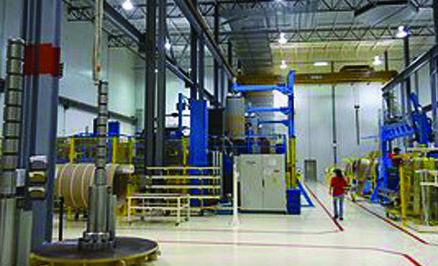 Each of our factories are equipped with VPD ovens. 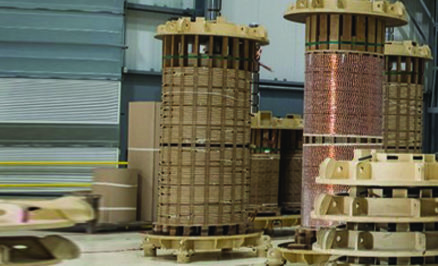 We have three independent 430.5 sq ft (13345 cubic foot) ovens for the drying of transformer active parts and accessories at our large and extra-large power transformer manufacturing plant in Rincon, GA. Each oven is PLC operated to allow for precise temperature, vacuum, time control and for adjustable isostatic pressing of the transformer winding to ensure proper calibration and sizing of the coils. 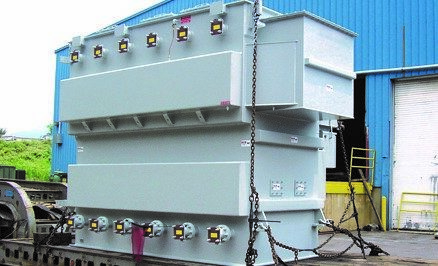 If a transformer is too large for VPD, then a Hot Oil Spray (HOS) method is used for drying. In this method, the transformer is placed under the vacuum and sprayed with heated transformer oil to drive the moisture away. HOS is continued until the desired moisture levels are achieved. 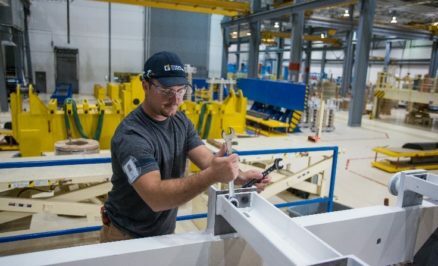 This is a typical flow of assembly at the Georgia Transformer plant. 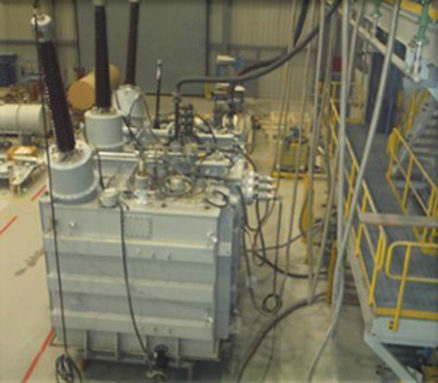 Processes at the other plants are essentially the same in principle but may vary depending on the size of the transformers. 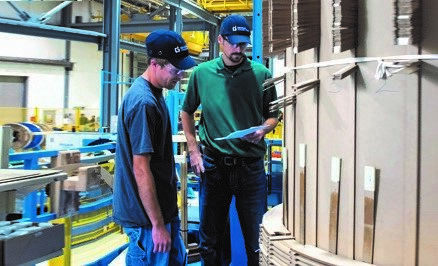 Many processes in the above assembly have checks and balances built into the process to ensure minimization of errors. We have boiled them down to 11 major hold points (HP) where the process will not move forward without approvals. There are 2 major control points where the team leader will analyze and review the finished work from different angles to make sure everything makes sense, and we’re on the right track. A traveling binder will document all the inspection work for any kind of root cause analysis for later use.